Magus Bosse, regular on TimeZone and owner of the Ornatus Mundi site, posted an essay on Minerva watches on TimeZone. And not to forget, Magnus Bosse is moderating the official Blancpain forum. The first collection (called 1858) of Minerva after their change of management is showed on the TimeZone Minerva Forum. Below, you’ll see the Minerva Coll. 1858 Cal. 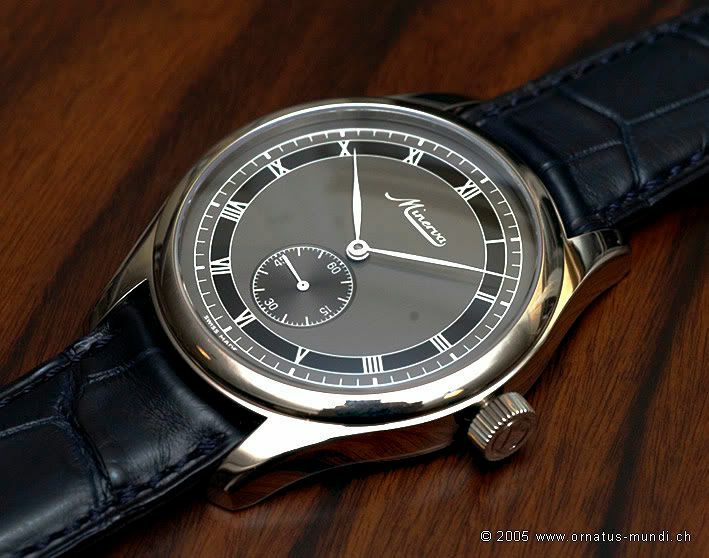 48 White Gold case/grey dial. By clicking here you will find the complete essay by Magnus.